Surprise your loved ones in India with a basketful of flowers. As flowers reveal your un-said words in a lovely fashion, this basket will surely amaze your recipient. All ablaze with bright coloured Roses, Gerberas and Carnations, this flower basket will make for a lovely gift. The basket consists of 10 red roses, 10 yellow gerberas and 10 dark red carnations. 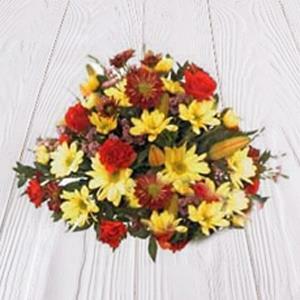 Send this aromatic flowers along with other Gifts to India through RGCards.com.